Researching your family history is a challenging, exciting and rewarding endeavor. Before you begin, have a plan in place for organizing your information. By having names and dates at your fingertips, you'll be able to quickly determine if an item you find relates to your family. Use the resources below to find the core information about your ancestors that will create the foundation of your genealogical research. They often contain clues that will point you to other resources to investigate. Census records, birth records, marriage records, death records, newspaper clippings, obituaries. Once you have gathered the core information about your ancestors, the next step is to add context by researching what others have written about communities and the families in them. Many of these sources are available to read both online and in our Library. Local and county histories, books of family histories. At this stage, you are ready to fill out the stories of your ancestors by researching these family history resources. Cemetery records, passenger lists, naturalization records. Before making a trip to the Society, first see what you can find online. 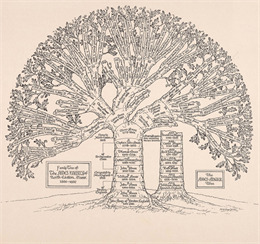 After searching the Society's resources, search the websites of other organizations offering genealogical information. Search over three million records of the following types: birth, death and marriage record indexes; newspaper clippings; visual materials; property listings for the National Register and State Register of Historic Places properties as well as for the Wisconsin Architecture and History Inventory (AHI). When you find an item that you think might be about an ancestor, print out the detail page for your records. Keep in mind that our online resources represent only a small portion of our vast family history collections, however, they offer an excellent place to start your research. Click on the links below to learn more about each resource. All have online materials for viewing, plus many more physical materials in the Society's Library and Archives. Numerous websites offer access to genealogical information. Some are free, most are not. Remember to print out the detail page when you find an item that you think might be about an ancestor. Here are some websites that may be helpful. A note about Ancestry.com. You can search from home with a subscription, or go to your local library to search the Ancestry Library Edition for free. The Society's Library in Madison, Wisconsin, has hundreds of family history resources. Our staff of experts is available to help you with any challenges, questions, or "brick walls" you may have. In addition, the bright, airy, 5,568 square-feet, 2-story high Library Reading Room offers you a comfortable place to do your research. Here are the kinds of things you can do during a family history research visit. View Vital Records on Microfilm Search the vital records online index, print the index page containing the information about your ancestor, and then view the actual record on microfilm. Learn more about our Pre-1907 Wisconsin Vital Records. Study Census Records Most North American censuses are available on Ancestry.com Library Edition, which is available free in our Library. Learn more about our Census Records. Or see Census Records Research Tips. Explore Community and County Histories County histories include pioneer recollections, biographical sketches and other local data not recorded anywhere else. Learn more about our Local and County Histories Collection. Or see our Local and County Histories Research Tips. Scroll through Newspapers on Microfilm Newspapers are a good source for obituaries and other family news and events. The Society owns newspapers from the 17th century to the present for over 1,600 Wisconsin newspapers and 2,500 out-of-state newspapers. Learn more about our Newspaper Collections. Or see Newspaper Research Tips for Family History. Read Family Histories Family histories include stories along with names, dates and places of our ancestors over many generations. 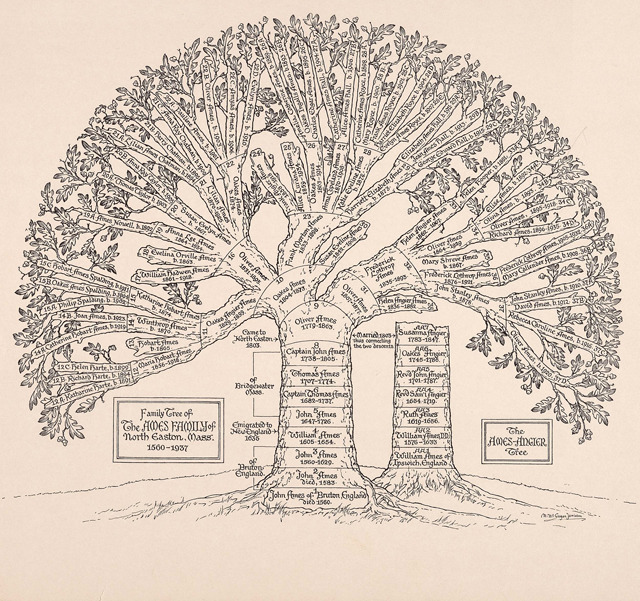 The Society owns more than 40,000 compiled family histories, available in both the open book stacks and the pamphlet collection. Learn more about our Books of Family Histories Collections. Or see Family Histories Books Research Tips. Dig into Cemetery Records Check documents that list where ancestors are buried. Learn more about our Cemetery Records. Or see Cemetery Records Research Tips. Examine Immigration Records Passenger lists and naturalization records reveal our ancestors' immigrant experiences. Learn more about our Immigration Records. Or see Passenger Lists Research Tips and Naturalization Records Research Tips. Investigate Land Ownership Maps and Atlases Land ownership maps and atlases show who owned what parcels of land and the names of their neighbors. Learn more about our Land Ownership Maps and Atlases of Wisconsin. Or see Land Ownership Maps and Atlases Research Tips (to come). Research Military Records Substantial documentation on military activities, wars, the domestic impact of military actions, and the service and experiences of individual soldiers. Learn more about our Military Records (to come). Or see Military Records Research Tips (to come). Offered in the spring and fall of each year, programs are geared to all levels of experience and offer something for everyone, from beginners to veterans. Register early – space is limited.